While tourism is popular in Slovenia, many people have yet to discover this beautiful country. Since Slovenia has not yet been overrun with tourists, people there are friendly and welcoming to visitors from foreign countries. When you drive through Slovenia you will be surprised at how all houses are beautifully cared for. Flowers are everywhere, around private houses, intersections and numerous public gardens. Slovenia is a Central European country bordering Italy, Austria, Hungary and Croatia. Despite is small size, Slovenia offers a diverse range of climates, from Mediterranean on the Adriatic coast to continental in its central regions. 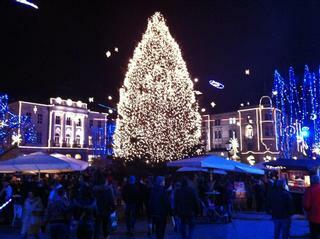 The capital city is Ljubljana, located in the center of the country. Slovenia features beautiful mountains, lakes and several health resorts designed around natural mineral springs. Some of the most beautiful vacation spots include Triglav National Park, Ljubljana, Postojna Cave, Soca River valley and Kranjska Gora. If you are looking for romantic ideas, Hotel Vila Bled is an excellent choice. 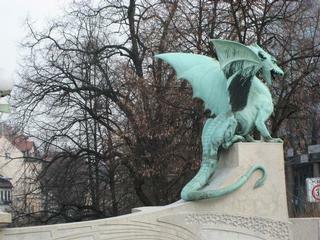 Dragon Bridge, built in 1901, is a concrete and iron structure that crosses the river Ljubljanica in Ljubljana. The bridge is decorated with green dagons, the symbol of the city. The nearby open-air market is a must-see if you are in the area. The best time to go in on Saturday mornings. Other nearby attractions include the Three Bridges, the Cathedral of St. Nicholas, and the Cobblers Bridge. Stand in the middle of the Cobblers Bridge to enjoy great views of the river Ljubljanica in Ljubljana. If you get tired of sightseeing, stop for a refreshing drink at one of the cafes overlooking the river. 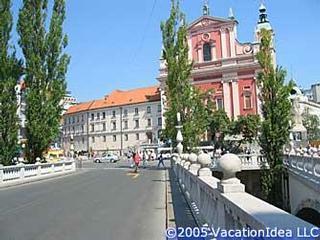 The Cobblers Bridge that crosses the river Ljubljanica in the center of Ljubljana dates back to the 13th century. Some time ago cobblers' booths were stationed right on the bridge, and that's how the bridge got its name. In 1931, Joze Plecnik installed the Cobblers Bridge that exists today. This is the town center, featuring historic buildings, shops and outdoor cafes. Located in the heart of the city, the Three Bridges cross the river Ljubljanica which flows through the city of Ljubljana, Slovenia. The Three Bridges lead to the old part of the town, the food market and towards the castle that towers above the city. One of the bridges is for pedestrians only, so you can stop and enjoy the view up and down the river without worrying about cars. In the summer, sit outside by the river at one of the cafes enjoying a cold drink, fresh fruit or ice cream. Watch people stroll by with their shopping bags from the market. The Three Bridges consist of an old stone bridge from 1842 and two newer bridges added in 1931 by Joze Plecnik, a famous architect born in Ljubljana that transformed the shape of city. 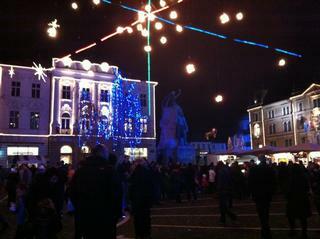 Located in the heart of Ljubljana, Preseren Square is a popular meeting spot. In fact, if you are meeting with a local, chances are that they will tell you: "I'll see you at Preseren Square." At the center of the square is a statue of France Preseren (1800-1849), a Slovenian poet who is the author of the national anthem. On one side of Preseren Square is the Franciscan Church, built in the 1600s. On the other end, you'll see the famous Three Bridges. Other architectual details to note in the square include the Art Nouveau facades of "Ura" and "Centromerkur." The train tour up to the top of the castle departs from Preseren Square. Located in the heart of Ljubljana, Grand Hotel Union is a great place to stay if you want to get to know the historic part of the city. The hotel has a sauna, fitness center, a salon, and is pet-friendly. Just steps from the hotel there is shopping, historic attractions and a choice of restaurants. The hotel restaurant serves national and international cuisine. Smrekarjev Hram restaurant offers international cuisine. The Cathedral of St. Nicholas in Ljubljana, Slovenia, was constructed between 1701 and 1708. The interior of the church features frescoes by Giulio Quaglio. The exterior of the Cathedral in Ljubljana features a Gothic keystone with the head of Christ to the right of the main entrance and a mid-15th century Gothic Pieta. The main door is made of bronze and was blessed by the Pope. 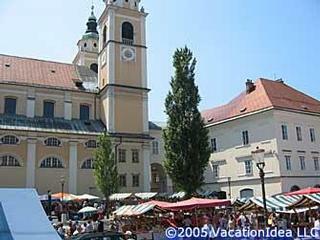 The Cathedral is located near the open-air market in the old part of Ljubljana. 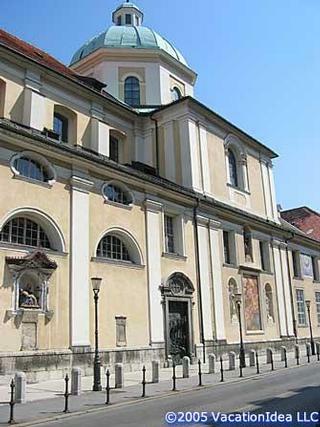 Cankarjev Dom, located in the center of Ljubljana, hosts cultural events, art exhibits, classical concerts, theater and film. If you want to see an art performance while vacationing in Ljubljana, check the Cankarjev Dom web site for a list of current events. What's Inside Cankarjev Dom includes several halls and galleries. Gallus hall is the largest with 1,397 seats and hosts symphonic and chamber music concerts, organ and jazz music, opera and ballet, drama, dance, entertainment, recitals, multi-media events and conventions. 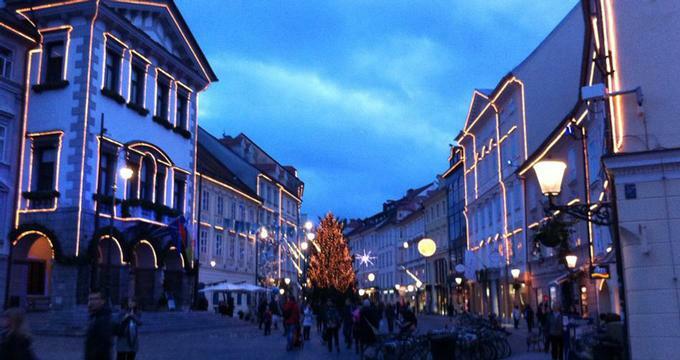 Ljubljana is transformed into a winter wonderland during the holidays, complete with a giant tree in Preseren Square, classical music playing through the speakers and countless decorations. Stroll through the Old Town admiring the decorations and the holiday window displays. There are many great shops where you can do your Holiday shopping, including chocolate boutiques, designer clothing and a salt shop. The Franciscan Church is a beautiful church built in the 1600s. The entrance to the church is in Preseren Square near the Three Bridges. The church is easy to find because of its colorful pink facade. View the main altar, the work of Francesco Robba from 1736. The vaults were painted in the mid-19th century by Matevz Langus. Grand Hotel Union is located behind the church, while Hotel Slon is just a short walk away. A visit to the Ljubljana market is a must on your trip to the capital city of Slovenia. The market is an architectural attraction and a great way to get a feel for the life in the city. 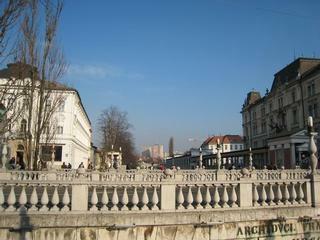 Built in 1940 by Joze Plecnik, the market runs along the colonnade by the river. Visit the fish shop where the river flows just outside the window, sample Slovenian cheeses inside the main building and pick up fresh fruit for a snack. There is also a great selection of cut flowers, mushrooms and hand-made souveniers. Rest your feet at the cafe situated in the opening in the colonnade which overlooks the river and the Dragon Bridge. Sip a cappuccino or an espresso which are delicious. The market is the largest on Saturday mornings in the spring, summer and fall, so that's the best time to visit. A great way to orient yourself when you first arrive in Ljubljana is to join a guided tour organized by the Ljubljana Tourist Office. Tours are offered daily from June 1 to September 30 in the afternoons. In July and August, morning walks are also offered. During the low season, from October through the end of May, tours start at 11am every Saturday and Sunday in Slovenian and English, and last two hours. For current schedule, call ++386-1-306-1215. Tours depart from the Town Hall at Mestni trg 1 and include major sights in the historic center of Ljubljana, including the Three Bridges, the Cathedral and the Market. 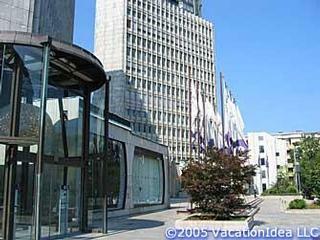 Austria Trend Hotel Ljubljana (formerly Domina Grand Media Hotel) is located about 10 minutes by car from the Ljubljana city center. This modern hotel, opened in 2004, offers air conditioned rooms, free calls over the IP telephone, and free broadband internet access through a WI-FI connection. The hotel provides its guests free shuttle service to/from the airport and the city center. The spa has a relaxation center, Finnish sauna, massage service and a whirlpool. The hotel has 217, including 24 non-smoking rooms, 46 Junior suites and 11 Executive suites. The hotel restaurant serves international cuisine, regional specialties, vegetarian food and diet menus. 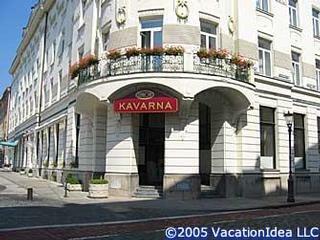 Hotel Lev is an upscale hotel located in the center of Ljubljana, Slovenia. Originally built in 1964, Hotel Lev has been completely renovated. The hotel is located 10 minutes on foot from the Three Bridges and other historic attractions. The hotel has 173 rooms, business rooms and suites which have been renovated in the late 90s. Five of the floors are non-smoking. The hotel restaurant serves an American buffet breakfast daily, national and international cuisine. Bar Kurent serves cocktails, snacks and light meals. Room service is offered 24-hours per day. 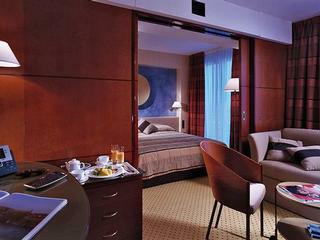 Hotel Slon is located in the historic center of Ljubljana, Slovenia. Hotel Slon, which means "Elephant" got its name from a legend that says that in in 1552 Maximillian's elephant rested at the current site of the hotel. True to its name, the hotel is pet-friendly. The hotel is located just steps from shopping, restaurants and historic attractions in the city center, including the famous Three Bridges.otel Slon has a finnish sauna and a whirlpool where you can relax after exploring the city.There are 171 guest rooms, including nine suites, with hard-wood floors, air-conditioning and Internet access. The hotel restaurant serves regional specialties, vegetarian and other foods. The pastry shop offers freshly-baked delicacies native to Slovenia. Slovenia is well connected with the rest of Europe with highways, railways and airports. There are three international airports: Ljubljana, Maribor, and Portoroz. Direct flights to Ljubljana are available from major European cities. The Slovenian national airline is Adria Airways. The following airlines also provide service to Slovenia: Austrian Airlines, Swiss, Aeroflot, British Airways, Avioimpex, Montenegro Airlines, Croatia Airlines, Czech Airlines. Taxis and car rentals are readily available at the airports. If you are traveling by car, Slovenia is about one hour from Trieste, Italy, and three hours from Venice. Highways and roads are well maintained in Slovenia. Summer months are warm and offer the widest choice of outdoor activities. If you are planning to visit Slovenian Alps, the weather is most stable in the summer. In the winter, skiing is offered at several locations. Remember to check the snow conditions before you go. The best way to get to know Slovenia is by car. You can rent a car at many locations, including airports and major cities. Most major highways display signs in English. An alternative, but less convenient, way to see the country is by train and by bus. It is sometimes difficult to travel around a country where you do not speak the language. Slovenes are known for their welcoming hospitality and are very eager to help out. If you have questions or if you get lost, stop and ask for directions in English. Almost everybody learns English in school and you will find somebody who will point you in the right direction. Tipping is not required in Slovenia, although it is considered common courtesy to round up to the nearest Euro. Slovenian coast has Mediterranean climate with mild winters and warm sunny summers. The central regions, including the capital city of Ljubljana, are cold in the winter and warm in the summer with temperatures in the 70s. Slovenian currency is the Euro There are many banks, ATMs and exchange offices where you can withdraw or exchange money. Travelers cheques can be cashed at major banks.